I love Christmas. I love it. I wouldn’t pin it on the notion of getting a bunch of free stuff though. That is exciting, but the season and the build up are far better than whatever loot I come out with on the 25th. It’s the whole season. Decorations, lights, music, special candy… and Television Christmas Specials. 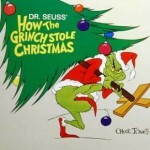 How the Grinch Stole Christmas is one of those specials that is a foundational Christmas component. A tale of someone who doesn’t like Christmas, and reforms after he learns to appreciate what Christmas is really about. Because of this special, I rarely think of the Grinch as green, in spite of his appearing that way almost everywhere else. I usually think of him as a yellowish-green. I have two favorite parts to this special. 1) The Grinch slithering around a WhoHouse. 2) Roast Beast – I love that pun. 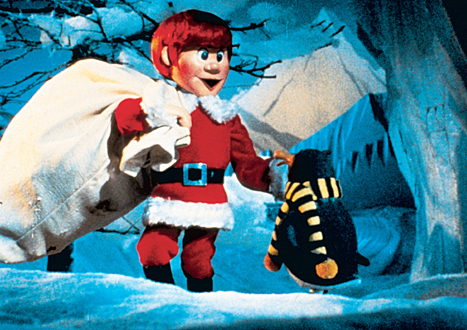 Rankin & Bass are the big names in Christmas specials. If you’ve seen a stop-motion special, you’ve seen their work. 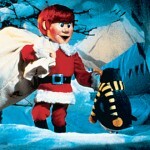 This is one of the classic Stop-motion clay christmas specials. The kind that everyone replicates these days for a “Retro-christmas” feeling (See Community, Eureka, and Home Improvement) Santa Claus is Coming to Town is a story about how Santa became who he is. It’s pretty clever and addresses the common components of the American Santa. They explain how Kris got his name (both Santa Claus and Kris Kringle), why he makes toys, where flying Reindeer came from, I think my favorite part is Topper, a penguin that Kris befriends. “Honk Honk” is the extent of his vocabulary. We watched this one while we were decorating our tree this year. 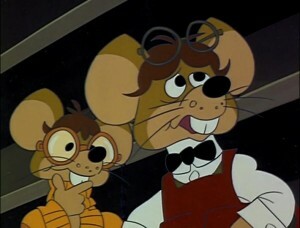 Another Rankin & Bass classic. Well, maybe “classic” is going too far. I’m not sure how well known this one is, but I know it. This one stuck out in my memory for some strange reason. It’s a story about a young mouse who offends Santa Claus in a letter, and the town that deals with the aftermath. 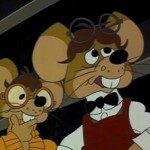 The mouse sees the errors of his ways and fixes a clock tower that’s supposed to invite Santa. If I recall correctly, he writes an editorial or something and Santa (in retaliation) decides to bring no Christmas to Junctionville. Y’know, because Santa is that kind of guy… I think this is the biggest gapping hole in the whole story. The Mouse writes an editorial, signs it “From all of us”, and Santa just takes that as verbatim? Seriously. What kind of Santa is this? It’s hard not to like though. In this one, the Mayor offers this awesome line: “We have concluded, for reasons unknown, Mr. Claus (Santa, that is), has taken an unconscionable attitude of hostile retaliation toward… ah, oh heck, he’s mad at us!” How can you not love that? I think I was surprised when I learned how recent of a production this was. I was alive when this came out. Making it one of the few specials I watch that did. 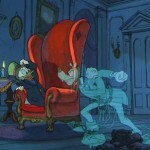 A Christmas Carol is a wonderful story, and mixing it with classic Disney Characters was a great idea. 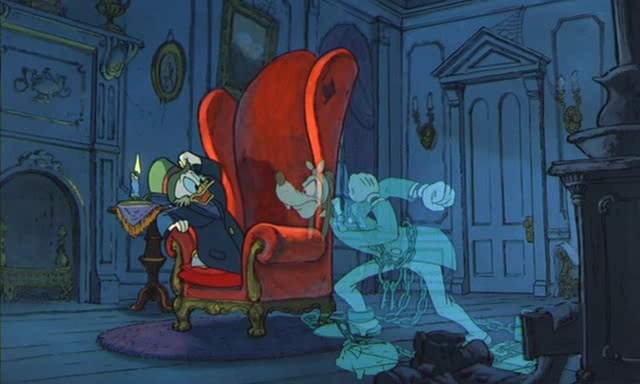 The character of Scrooge McDuck was named after Ebenezer Scrooge of A Christmas Carol, but it was 36 years before the character got to play his namesake. I like that we see more than just the standard fare of Disney characters. Rat & Mole from The Wind and the Willows, Jiminy Cricket, The Three Little Pigs. It’s a cornucopia of Disney IP. My favorite is Goofy. As Jacob Marley, he is hilarious. The webcomic XKCD recently made an observation that Christmas these days is mostly about recreating the childhood of Baby Boomers. It’s a fair assessment. When something new comes along it naturally gets put under a good amount of scrutiny. Will it be worthy to be added to Christmas? A couple of years ago Disney produced a really delightful Christmas special called Prep & Landing. It was executive produced by John Lasseter. Besides being a great story, this short describes something from my Childhood. When I was very young, I remember having assembled a Lego creation that depicted Santa’s workshop. Unlike the workshop of so many stories, mine wasn’t littered with rocking horses and hammers. It had an assembly line complete with computers. Elves were responsible for automation and computer controlled construction. Prep & Landing gave me a peek back into the world that I wanted Santa to be. In 2010, Disney produced a 6 minute short called Prep & Landing: Operation Secret Santa. This year, another full-length special was produced Prep and Landing: Naughty vs. Nice. I’ve enjoyed all three very much. This is probably my favorite Christmas special of all time. It is the quintessential Christmas Special. The thing that is most illustrative in this show is how old the problems we face are when it comes to the holidays. 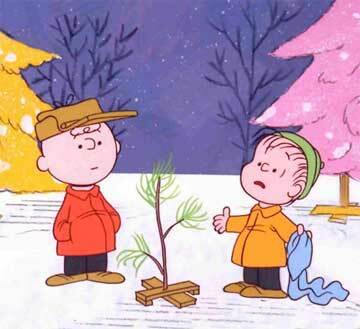 Charlie Brown spends the special frustrated about the commercialism of the holiday. This is 1965... I was sure that commercialized Christmas was a much more modern complaint. More recently I came across Lucy complaining of Christmas items in stores before Halloween candy was gone in A Charlie Brown Thanksgiving. 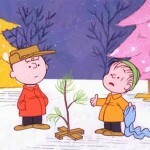 As Charlie Brown seeks to find the true meaning of Christmas, the realities of Christmas in America are unfolded. The Christmas Pageant, artificial trees, “Cash – tens and twenties”. Against all recommendations, Charles Schultz pushed hard to include (and keep) Linus’ recitation from Luke 2. Like many, what I love most about this special is its quirkiness. The imperfections in the animation, the fact that Sally’s lines had to be broken down to individual sentences. That jazz was chosen for the soundtrack. So there you have it. I love Christmas specials. I hope everyone has a delightful Christmas season!